As one of the greatest shows of its day, okay let’s be real…EVER, Friends holds a very special place in our hearts. 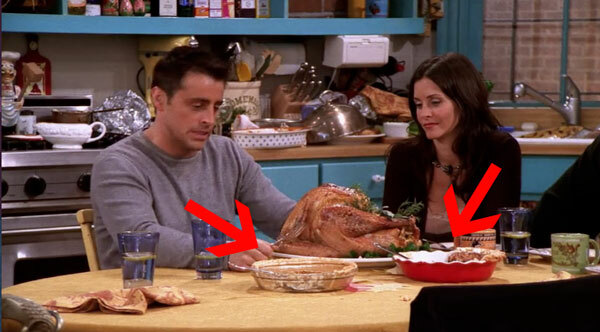 And we particularly love all the Friends Thanksgiving episodes. With 10 seasons under its belt we got to know Rachel, Monica, Phoebe, Ross, Chandler, and Joey so well we pretty much felt like they were OUR best friends! In fact, we feel like we know almost every episode like the backs of our hands. 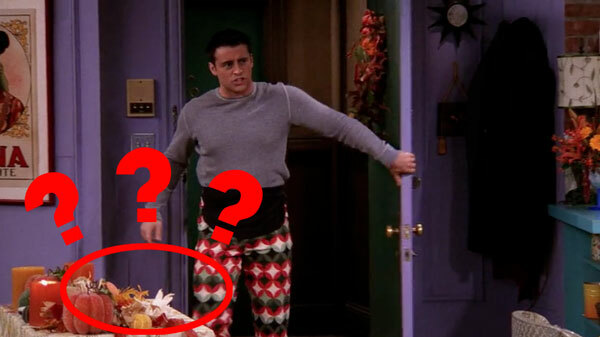 However, there’s one big question we still have about the Thanksgiving episode with Brad Pitt. 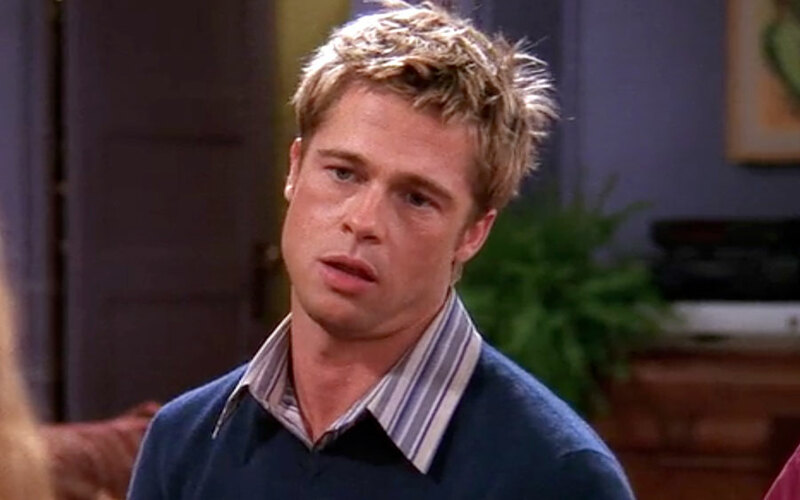 If you recall, in this famous episode, Brad Pitt joins the iconic sextet as Will Colbert – Ross’ friend and co-founder of the “I Hate Rachel Green Club” from high school. 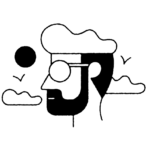 And as any good friendsgiving guest would do, he brings a dish to dinner. A lovely “no fat, no sugar, no dairy…and no good” pie, that he immediately instructs Monica to throw out. 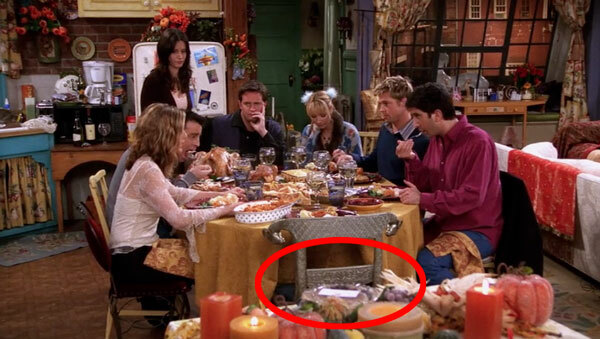 Except Monica does not throw it out, she places it on this table. And the pie stays there through dinner. But later, there are two pies on the dining table. And CLEARLY neither of them are Will’s. These are home-baked pies, not store-bought ones! But at the end of the episode Will’s pie is GONE!?! So, like, WTF happened to Will’s “no fat, no sugar, no dairy” pie?! Did Monica FINALLY throw the pie away? Did Will continue his complex carb binge and eat the pie all by himself? Or did a crew member get REALLY, REALLY hungry between takes!?! ::SHRUG:: We may never know the answer to this mystery, but we’ll happily re-watch Friends a million times more to try and solve it.